Here at ChiIL Live Shows, we caught the opening of Mosque Alert and were amazed by the complexity of the characters and issues presented. 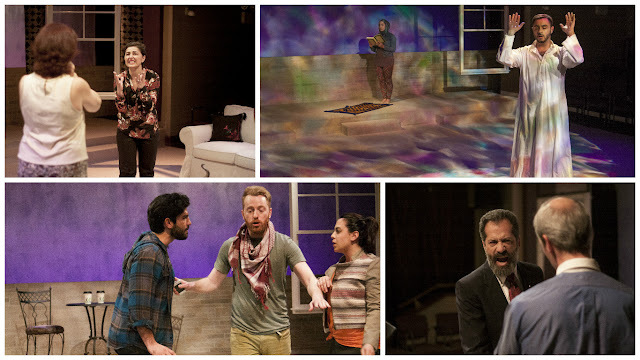 Mosque Alert goes well beyond taking sides on a zoning issue and manages to offer an enlightening and thought provoking production that touches on racism, fear, friendship, politics, greed, religion, sexism and so much more. Mosque Alert is beyond timely and broaches the issues of our day in a compelling way that isn't heavy handed. Highly recommended. Silk Road Rising’s timely world premiere of Jamil Khoury’s Mosque Alert has been playing to enthusiastic houses since opening. By popular demand, performances of Mosque Alert have been extended through May 15th. This extension adds eight new opportunities to see what Hedy Weiss of the Chicago Sun-Times calls “precisely the right recipe for a solid argument play." Mosque Alert is written by Jamil Khoury and directed by Edward Torres. The design team includes: Caitlin Roper* (Stage Manager), Dan Stratton (Set Designer), Elsa Hiltner (Costume Designer), Lindsey Lyddan (Lighting Designer), Thomas Dixon (Sound Designer & Composer of Original Music), Michael Stanfill** (Video Designer), Alec Long (Props Designer), and Annaliese McSweeney (Dramaturg). ** Denotes member of United Scenic Artists, the union of professional designers, artists, and craftspeople. at the Civic Opera House, 20 N. Wacker Dr. 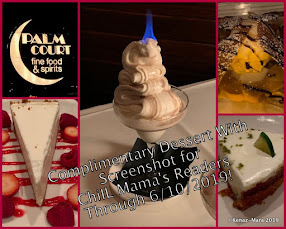 Here at ChiIL Mama and ChiIL Live Shows we're elated to offer our readers a fabulous Mothers' Day giveaway. We are partnering up with The Lyric Opera to offer a FREE pair of tickets to The King and I for one of our lucky readers. Our winner may select one of the following performances: May 7 at 1:30 p.m. or 7:30 p.m.; May 8 at 6:30 p.m.; or Tuesday, May 10 at 7 p.m. Enter early and often through midnight May 2nd. We'll be there for the press opening this Saturday, so check back soon for our full review. The Lyric Opera has long been a favorite of ours for world class productions and incomparable talent, costumes and sets. We can't wait to see the beloved classic, The King and I! 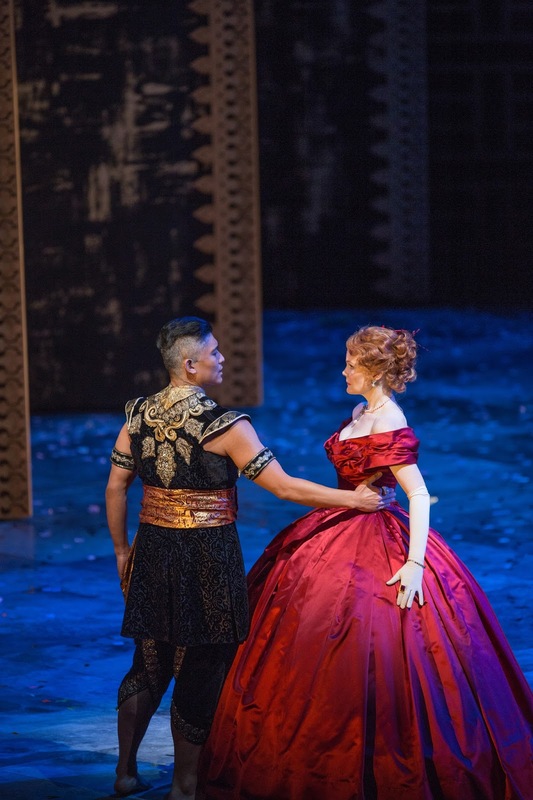 Lyric Opera of Chicago presents a stunning production of Rodgers and Hammerstein’s The King and I, featuring Broadway stars Kate Baldwin and Paolo Montalban as Anna Leonowens and the King of Siam. Lyric Opera’s The King and I runs April 29 through May 22 (press opening April 30), with 25 performances at the Civic Opera House, 20 N. Wacker Drive, Chicago. Tickets start at $29 and are available at lyricopera.org/king or at 312-827-5600. The King and I is the fourth Rodgers and Hammerstein musical to be presented as part of Lyric’s American Musical Initiative. Lee Blakeley, who staged the production’s 2014 premiere at the Théâtre du Châtelet in Paris, makes his Lyric directorial debut teaming up with distinguished Broadway conductor David Chase, who conducted Lyric’s acclaimed Carousel last season, and choreographer Peggy Hickey. The creative team also includes costume designer Sue Blane (debut), scenic designer Jean-Marc Puissant (debut), lighting designer Rick Fisher (debut), sound designer Mark Grey, and chorus master Michael Black. The King and I features Broadway artists Ali Ewoldt (Tuptim), Alan Ariano (The Kralahome), and Rona Figueroa (Lady Thiang), along with Sam Simahk (Lun Tha) and Chicagoland artists Charlie Babbo (Louis Leonowens), Jomar Ferreras (Interpreter), John Lister (Captain Orton), David Parkes (Sir Edward Ramsay), Peter Sipla (Phra Alack) and Matthew Uzarraga (Prince Chulalongkorn). All but Lister make their Lyric debuts with The King and I. The all-Chicagoland children’s ensemble for the production includes Sophie Mieko Ackerman, Alexis Aponte, Lilly Fujioka, Avonlea Hong, Leila Koss, Evangelyn Lee, Liliana Martens, Lucy Martens, Rika Nishikawa, Ana Joy Rowley-Mathews, Benedict Santos Schwegel, A’naam Singh, Zachary Uzarraga and Sophia Woo. These young performers range in age from 5 through 14. Click here to learn more about this production. Follow the conversation on Twitter and Instagram: #LyricKing. 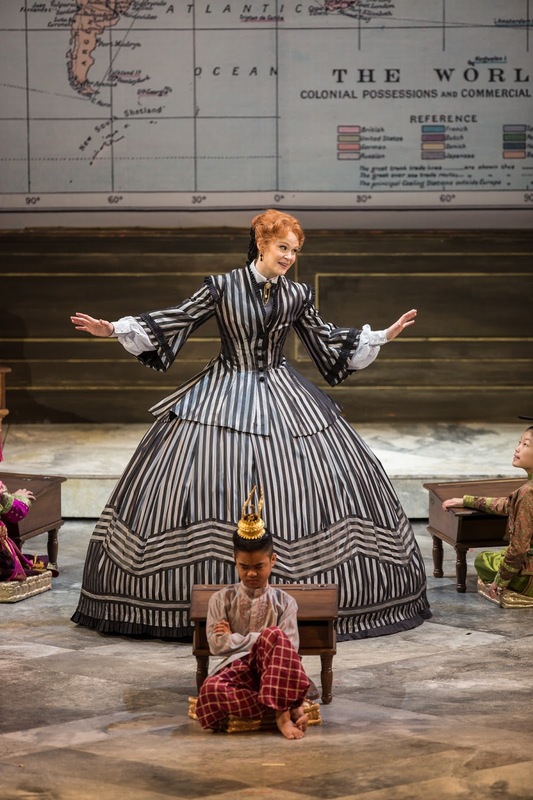 The Lyric premiere of The King and I is generously made possible by The Negaunee Foundation, two Anonymous Donors, Robert S. and Susan E. Morrison, and Northern Trust. The April 30 performance of The King and I will be broadcast on 98.7WFMT and streamed on wfmt.com on Sunday, May 1, at 7:00pm. Under the leadership of general director Anthony Freud, music director Sir Andrew Davis, and creative consultant Renée Fleming, Lyric strives to become The Great North American Opera Company for the 21st century: a globally significant arts organization embodying the core values of excellence, relevance, and fiscal responsibility. Visit www.lyricopera.org for more information. Chicago's abiding bard love continues with one of his most popular and accessible shows, A MIDSUMMER NIGHT'S DREAM. 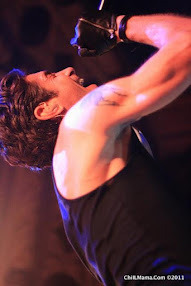 Here at ChiIL Mama/ChiIL Live Shows it's one of our Shakes favs. Check out this groovy 1960's style version of the classic. Polarity Ensemble Theatre presents an innovative interpretation of Shakespeare's A MIDSUMMER NIGHT'S DREAM, the bard's most popular comedy. Director Ann Keen sets the production in an America of the early 1960's, a time of distinctive transition in our culture, as music, morality, and racial relations began a revolution. Like Ann's HAMLET (which won Polarity the honor of Best Emerging Theatre Company from the Chicago Reader) and her A STREETCAR NAMED DESIRE, this production will be infused with music. The production is running now through May 22, 2015 at the Greenhouse Theater Center, 2257 N. Lincoln Ave, Chicago, IL 60614, where the eleven year old Polarity is a resident company. 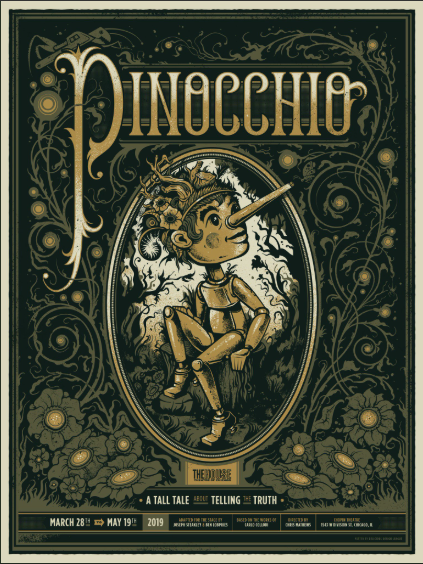 Tickets are available at www.petheatre.com or by calling the box office at 773-404-7336. A MIDSUMMER NIGHT'S DREAM features: Charles Askenaizer Snout, Jos N Banks Lysander, Joey Banks Oberon, Bryan Breau Demetrius, Keith Cavanaugh Bottom, Madisen Dempsey Mustardseed, James Dolbeare Snug,Kevin M. Grubb Quince, Hilary Holbrook Hermia, Charley Jordan Egeus,McKenna Kirchner Peasblossom, Jen Mathews Hippolyta, Jessica McCartneyStarvling, Jennifer Nickell Moth, Hallie Peterson Cobweb, Miriam Reuter Puck,Nicola Rinow Helena, Roy Samra Philostrate, Anastasia Spalding First Fairy,Laura Sturm Titania, Jeremy Thompson Theseus, Aaron Wertheim Flute. About the play: A MIDSUMMER NIGHT'S DREAM was written around 1594 or 95. It portrays the adventures of four young lovers and a group of amateur actors, their interactions with woodland fairies and a duke and duchess. 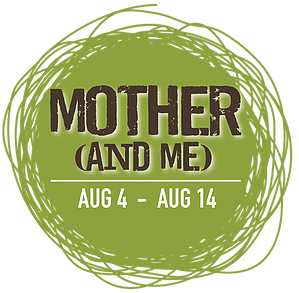 This production takes place in a mythical 1960's America and an enchanted forest with a crafty fairy king, an outraged parent, an interracial love story, a bumbling weaver transformed into a half-donkey, and fairies who sing in 1960's harmony. It's a magical, music-filled celebration of love. But as Puck knows, falling in love can make fools of us all. The production team for A MIDSUMMER NIGHT'S DREAM includes Ann Keen (director), Nicole Lewter (production manager), Buck Blue (set design), Alaina Moore (costume design), Claire Chrzan (light design), Bob Kretz (sound design), Charley Jordan (props design), Dave Gonzalez, (fight director), Ali Helland (text/vocal coach), Hazel Marie (stage manager), Aaron Pepple (Assistant Stage Manager), Abigail Epperson (casting director), and Richard Engling (artistic director). Polarity Ensemble Theatre co-founder Ann Keen received her B.A. from Saint Mary's University and her M.F.A. in acting from Arizona State University. She has done a lot of acting and voice over work in the Chicagoland Area. Her favorite roles include Clytemnestra in The Oresteia, Emilia in Othello, Lucetta in Two Gentleman of Verona and Lady Macbeth in Macbeth. Most recently, Ann was in the play Unnecessary Farce at Fox Valley Repertory. She directed Polarity's productions of Antigone, Hamlet and A Streetcar Named Desire and most recently, Crimes of the Heart at Steel Beam Theatre. She is especially brilliant at working with playwrights on developing new scripts. Ann and her husband John are the proprietors of The Spice House in Geneva. Founded in 2004, Polarity Ensemble Theatre is a professionally diverse group of artists who strive to advance the state of Chicago theater for both local and international audiences by developing new works and bringing new life to the classics through live performance, workshops, and publishing. For more information, visit www.petheatre.com. Here at ChiIL Live Shows, we're excited about the upcoming Solo Celebration featuring some of our favorite Chicago-based playwrights including Isaac Gomez, Brett Neveu, Douglas Post, Susan Padveen and Philip Dawkins (who will also be performing his solo work). 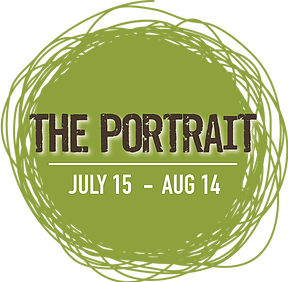 Joining these local artists are award-winning authors Stacyann Chin (who will also star in her autobiographical piece), Laurence Leamer, John Walch, Sarah Myers andMatty Selman. The series will include ten full productions and two limited engagements. Among the directors connected to solo series are Emmy, Tony and Grammy Award-winner Cynthia Nixon, Goodman Theatre Producer and Artistic Collective Member Steve Scott, Writer’s Theatre Resident Director Kimberly Senior, Directors Lab Chicago Artistic Director Elizabeth Margolius and Remy Bumppo Artistic Associate Linda Gillum. Some of the performers confirmed to star in solo works include Jeff Award-winner Kate Buddeke, acclaimed British actor Simon Slater, Karen Rodriguez and Carin Silkaitis. Most productions will be produced in their entirety by Greenhouse, while other plays will be stated with co-producers including Sideshow Theatre Company, The Other Theatre Company and Rosie O’Donnell. 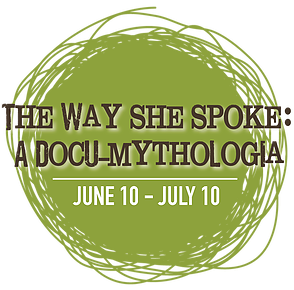 Jacob Harvey, Artistic Director of the Greenhouse Theater Center, announced the 12 plays that will be presented as part of the “Solo Celebration!” series, running June 2016 – February 2017. Audaciously funny and powerful, “MotherStruck!” is Staceyann Chin’s Off-Broadway hit exploring her deeply personal journey to motherhood, as a single woman, lesbian and activist who does not have health insurance or a ‘serious, stable financial set up. Told through Chin’s uniquely poetic lens, her magnetic performance takes audiences on a bullet train adventure as she reflects on how the process changed her life and making peace with what she learned along the way. Gustav Klimt, the famous Viennese painter of The Kiss, crafted a multitude of beloved and enigmatic works while struggling to support his family in a world that did not yet recognize his genius. This provocative new play renders a portrait of the artist as he tries to win an attractive young woman’s interest and a sizable commission, as he wrestles with a decision that could alter the trajectory of his life. Torn between duty and defiance how will Klimt navigate the tumultuous decisions ahead? Taut and suspenseful, “Bloodshot” is a one-man murder mystery following photographer Derek Eveleigh, as he is hired by an anonymous benefactor to pursue a showgirl through the streets of 1957 London. After witnessing the young woman’s murder by an unknown assailant, he embarks on an investigation to find her killer that takes him through the bowels and backstreets of London, to find the young woman’s killer. Along the way he meets hustlers, musicians and magicians and begins to find himself falling in love with a dead woman that he’s never met. "There will be great presidents again, but there will never be another Camelot." In this intimate portrait of Camelot’s queen-mother, we meet a stalwart 79-year old Rose Fitzgerald Kennedy just after the tragedy at Chappaquiddick, which led to the accidental death of Mary Jo Kopechne at the hands Senator Edward M. Kennedy. Alone with her invalid husband in the house in Hyannis Port, Rose attempts to retrace the rise and fall of this great family that traversed continents, shaped history, and inspired a people. The Kennedy’s story is the story of our nation, as it implores audiences to access the costs of creating a political dynasty. Failed relationships, former lovers and half eaten wedding cake clutter the mind of one Jewish woman determined to track the trajectory of love and loss in her life. “I Do Today” builds a constantly confounding and quickly changing family tree of many marriages (and even more divorces), posing questions about how modern marriage fits into old ideals. Bisexuality, kabbalah and baby teeth dangle from the branches of this thoughtful play exploring how we might use our inheritances to re-imagine what’s possible. Once upon a time in an Anaheim, California orange grove, a magical kingdom was built and dedicated to America's history, dreams and wildest hopes. Eight years later, one family’s American prince died on live television while delivering the Albuquerque sports scores, leaving his four daughters and their mother behind. Left reeling from the loss of their patriarch, the family underwent a quest to reach the magical kingdom and seek solace and recovery. Now, more than fifty years after their journey, acclaimed playwright and storyteller Philip Dawkins retraces and illustrates the true story of the women in his family, exploring their history and asking if there really is a place where the dream that we wish can come true. When Matty, an unemployed actor, inherits an old, decrepit coat from his recently deceased great-uncle Philip, he is unsure whether he has been given an heirloom or a heap of rags. Through his attempts to find the answer he travels across time, territories and tragedies in an effort to uncover the history of an unfaltering dreamer. “Uncle Philip’s Coat” takes Matty on a journey of self-discovery that poses larger questions of family, mythology and the inheritance of a Jewish son. How did a man who made it to the land of opportunity become a homeless wanderer, and what can he teach us about the stories that we tell to surround ourselves and keep away the cold? The Midwest sits, still and silent, between two oceans in the center of a continent, and beneath we find “Miss America” in a cold and cluttered basement. Written for award-winning actress Kate Buddeke, Brett Nuveu’s stark and entrancing sketch of an ordinary woman will leave you shaken and unsure, as she uncovers the artifacts of her youth and comes to terms with the forces that have made her who she is today. An inner-tube, a bagel, a donut, a lifesaver, a holiday wreath, a tire-swing, a cycle of abuse: circles. And at the center of them all sits an enigmatic squirrel. Orbiting that squirrel is Chester, a self-described “rodentophobe” who spins the outlandish, funny, and bruising tale of growing up with a father who developed a rabid hatred for squirrels that eventually infected every aspect of his life. Pursued by memories of his father’s intolerant legacy, Chester is pulled into the black hole at the center of his own life, unsure of how he will break free from the darkness that encircles him in this savagely comic one-man show. Have you ever wondered if Bozo was a suppressive person? Have you ever considered what it might be like to audition to be Tom Cruise’s girlfriend? What do you do if the” carrot of spiritual freedom” was dangled in front of you, waiting to be seized? Writer performer Cathy Schenkelberg decided to chase it and what she found was Scientology, America’s foremost intergalactic theology. After studying and searching to become “more herself” she found herself blowing alien life forms off her body and moving farther from than ever from who the person she had hoped to be. Now she is sharing the story in this no holds barred cautionary tale of how she survived the pseudoscience. *”Squeeze My Cans” received its first developmental workshop production at Lifeline’s Filet of Solo Festival. The performance schedule for each play will be announced at a future date. Most plays will be performed Wednesday, Thursday, Friday and Saturday evenings and Saturday and Sunday matinees. The press opening dates will be announced at a future date. All performances will take place at one of the venues within the Greenhouse Theater Center, 2257 N. Lincoln Ave.
Flex passes are on sale now. Flex passes provide guests with admissions to five different full-production plays at a cost of $160 (or $32 per performance). Flex pass-holders may also purchase tickets for additional plays for $32, and may purchase tickets for limited engagement productions for $20 (a 33% savings). Flex passes can be obtained by visiting or calling the Greenhouse Theater box office at 773-404-7336 or by visiting greenhousetheater.org. Additional casting, special events and appearances, including musical performances and comedians, will be announced at a future date. 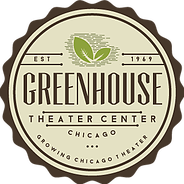 The Greenhouse Theater Center is a nonprofit performance venue located at 2257 N Lincoln Ave, in Chicago’s Lincoln Park neighborhood. Our complex offers two newly remodeled 190-seat main stage spaces, two 60-seat studio theaters, an in-house rehearsal room, and Chicago’s only dedicated used theatre book store. Our mission at the Greenhouse is first and foremost to grow local theatre. We strive to cultivate a fertile environment for local artists, from individual renters to our bevy of resident companies, to develop and produce their work. 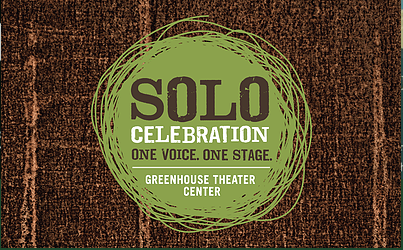 In 2014 alone, The Greenhouse Theater Center provided space for almost 1,000 ticketed performances, serving more than 54,000 patrons. Among these events, were at least 30 productions by our resident companies, including the celebrated American Blues Theater and Remy Bumpo Theatre Company. Through our Trellis Program, we offer the community affordable access to our work by housing Chicago’s only dedicated used theatre bookstore, located on the second floor of our complex, as well as offering a free reading series each Tuesday night where local artists workshop their latest scripts. Additionally, we also continue to play an active role in cultivating and nurturing our community through continued partnerships with the League of Chicago Theaters and local Chambers of Commerce. As of 2016, the Greenhouse Theater Center embraced the true spirit of growth and launched its producing entity. With the announcement of our 8 month long Solo Celebration Series, helmed by Artistic Director Jacob Harvey, we will produce 10 solo plays from June 2016 to February 2017. Through this inaugural effort, we hope to expand the solo play cannon while also cultivating a larger conversation about the possibilities of the one-person play. With new ideas always incubating, the Greenhouse Theater Center is flourishing. Come grow with us! Rivendell Theatre Ensemble (RTE), Chicago’s only Equity theatre dedicated to producing new work with women at the core, announces the midwest premiere of Dry Land by Ruby Rae Spiegel. The production, directed by RTE member Hallie Gordon, runs April 22 – May 28, 2016, at Rivendell Theatre Ensemble, 5779 N. Ridge Avenue in Chicago. Set in the girls' locker room of a Florida high school, Ruby Rae Spiegel's ferocious new play looks at the unlikely friendship between Esther and Amy, two high school swimmers under uncommon pressure. 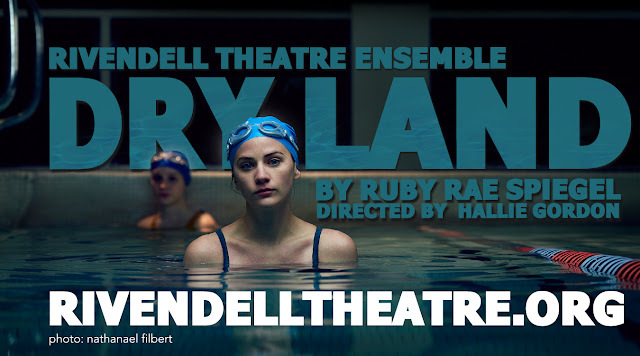 Called a “remarkable new play” by The New York Times, Dry Land is alternately harrowing and hilarious, as it homes in on the issue of DIY abortion, the complexities of female friendship, and the impossible pressures that build up at the brink of adulthood. Includes four tickets to use in any combination for the season. Artistic Director Tara Mallen comments, “Dry Land is the second production in RTE's 2016 “The Body Politic” season consisting of three important new plays in which the political is deeply personal. The play begins with two teenage girls attempting a do-it-yourself abortion. It is a precarious subject, rife with shame and secrecy, not to mention being a political time bomb. 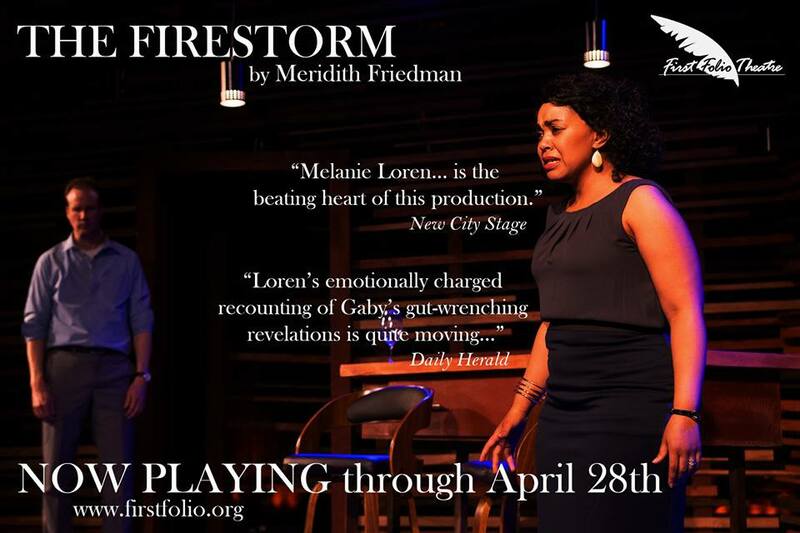 The play doesn't pick sides or ask you to pick sides -- it simply reflects a growing reality, particularly for women and girls living in areas where it is now most difficult to get abortions. In the midst of this election circus, as we sift through the candidate’s policies and platforms, Dry Land tackles this hot button issue with extreme truth - and a great dose of humor -- engendering an imperative dialogue about women’s bodies in this crucible of politics." Dry Land features Jessica Ervin as “Ester” and Bryce Gangel as “Amy” with Charlotte Thomas, Matt Farrabee, Ric Walker, Olivia Shine and Ireon Roach. The design team includes Joanna Iwanicka (scenic design), Charles Cooper (lighting design), Janice Pytel (costume design), Sarah Putts (sound) and David Blixt (fight choreography). Jessica Ervin (Ester) is a recent graduate of Ball State University with a B.F.A. in Acting. Her Chicago credits include Walkabout Theater Company’s Summer in the Parks production of The Wild, The Public House Theatre’s 12 Ways to Play Festival, Collaboraction’s final Sketchbook Festival, and understudying Rivendell’s touring production of WOMEN AT WAR. Some of her other favorite projects are The Skriker (Josie),Romeo and Juliet (Juliet), and The Effect of Gamma Rays on Man-in-the-Moon Marigolds (Tillie). Bryce Gangel (Amy) makes her Rivendell Theatre debut. Recent Chicago credits include: The U.S. premiere of Posh (Steep Theatre); Between You, Me, and the Lampshade (Teatro Vista); All American (Redtwist Theatre); the Chicago premiere of Hank Williams: Lost Highway (Filament Theatre Ensemble); and You Never Can Tell (Remy Bumppo Theatre U/S). She has appeared on television in “Crisis” (NBC). Bryce is a graduate of Loyola University and The School at Steppenwolf. She is proudly represented by Paonessa Talent. Rivendell Theatre Ensemble is supported by generous grants from The Alphawood Foundation; The Arts Work Fund for Organizational Development; The Chicago Community Trust; The Chicago Foundation for Women; The Elizabeth F. Cheney Foundation; The Gaylord and Dorothy Donnelley Foundation; The MacArthur Funds for Arts and Culture at The Richard H. Driehaus Foundation; The Reva and David Logan Foundation; The Elizabeth Morse Charitable Trust; Cultural Outreach Program Grant from the City of Chicago Department of Cultural Affairs & Special Events; and the Illinois Arts Council Agency. Rivendell Theatre Ensemble is also very grateful for the support received from 100 Women Who Care. The League of Chicago Theatres announces Sideshow Theatre Company as the winner of the 2016 Broadway In Chicago Emerging Theatre Award. 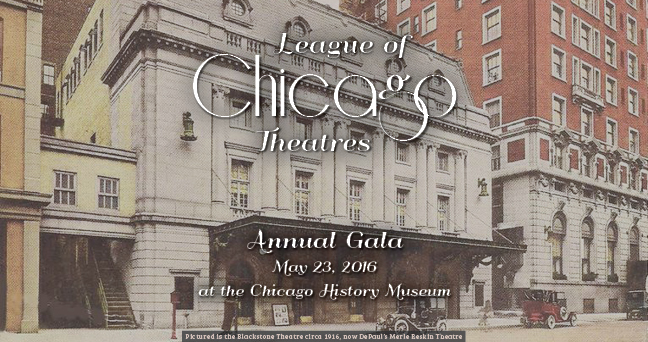 The award will be presented at the League of Chicago Theatres Annual Gala, an elegant event that brings together friends of Chicago theatre to raise funds for programs to support Chicago’s 240 member theatre companies, on May 23, 2016 at the Chicago History Museum, 1601 N. Clark St.
Tickets for the Gala are available for $325 per person, and all proceeds benefit the League of Chicago Theatres which promotes, supports, and advocates for theatre in Chicago. To purchase tickets, or for sponsorship opportunities and participation information, visit www.chicagoplays.com or call 312-554-9800. The Broadway In Chicago Emerging Theatre Award was created in 2007 to encourage, support, and promote young theatres in Chicago that have demonstrated great ability and promise, artistic excellence and fiscal responsibility in business practices. Eligible companies are members of the League of Chicago Theatres, have been incorporated at least 3 and no longer than 10 years, and have demonstrated artistic excellence, fiscal responsibility, community leadership and potential for future growth. Nominated by a committee of industry professionals, educators and League of Chicago Theatres board members, five finalists are selected each year, and from those, a majority vote from the League membership determines the winner. Broadway In Chicago provides a $5,000 cash prize and marketing support, including a substantial advertising package for the recipient. “It is a great honor for Broadway In Chicago to sponsor this award every year," said Eileen LaCario, Vice President of Broadway In Chicago. "We are proud to be a part of the Chicago Theatre Community which is unique and unlike any other in the country where theatres of all sizes mentor and support each other. This year we celebrate Sideshow as the 2016 Emerging Theatre, recognized by their peers for their work and contributions to Chicago Theatre." The other nominees for the 2016 Broadway In Chicago Emerging Theatre Award were: Chicago Fringe Festival, Definition Theatre Company, Filament Theatre and Route 66 Theatre. Jackalope Theatre Company, Oracle Productions, The House Theatre of Chicago, Silk Road Theatre Project (now Silk Road Rising), the side project, Steep Theatre, The New Colony, Theatre Seven of Chicago and 16th Street Theater are previous recipients of the award. On May 23 at the Chicago History Museum, the Chicago theatre community will honor Sideshow Theatre Company with the Broadway In Chicago Emerging Theatre Award, philanthropist Merle Reskin with the Tribute Award, Chanel Coney with the Emerging Philanthropist Award, and Founders of the Candlelight Theatre Bill Pullinsi and Tony D’Angelo with the Lifetime Achievement Award. Cocktails will begin at 5:30pm with an elegant dinner and entertainment at 7:00pm. The Gala Co-Chairs are John Collins (General Manager, Goodman Theatre), Neel McNeill (Managing Director, Definition Theatre Company), David Schmitz (Managing Director, Steppenwolf Theatre Company) and Ivan Vega (Executive Director, UrbanTheatre Company). Chicago theatre is the leader in the U.S. with more than 250 theatres throughout Chicagoland, comprising a rich and varied community ranging from storefront, non-union theaters to the most renowned resident theatres in the country, including 5 that have been honored with Regional Tony Awards, and the largest touring Broadway organization in the nation. Chicago’s theatres serve 5 million audience members annually and have a combined budget of more than $250 million. Chicago produces and/or presents more world premieres annually than any other city in the nation. In 2015-16 alone, Chicago theatre companies produced more than 100 world premiere productions and adaptations. Each year, Chicago theatres send new work to resident theatres across the country, to Broadway, and around the world. The League of Chicago Theatres is an alliance of theatres which leverages its collective strength to promote, support, and advocate for Chicago's theatre industry locally, nationally, and internationally. The League of Chicago Theatres Foundation is dedicated to enhancing the art of theatre in the Chicago area through audience development and support services for theatres and theatre professionals. For more information, www.chicagoplays.com. A love story wrapped in a mystery. Come see the show inspired by the pioneering female film directors in early Hollywood...and the world that was stacked against them. Here at ChiIL Live Shows and ChiIL Mama we've long been fans of Babes With Blades Theatre Company’s excellent productions. I'll be there for the press opening so check back soon for our full review. They're excellent about providing a showcase for women in stage combat roles as well as showcasing talents of female directors and writers. They excel at historical pieces and this show will be their 18th world premiere production! A 1960s film professor searches for the missing film masterpiece of an obscure lesbian director - killed pre-World War II at the height of her talent - and speculates she was murdered because of her defiant flaunting of her sexuality with the studio’s “it” girl. But once the director’s former lover, now an aging, reclusive German movie star, is involved in the search, a more disturbing narrative unravels. Moving between 1930s Berlin and Hollywood and the late ’60s, this play shifts from film to live action, flashback to the present as it reveals the truth behind a doomed romance. Inspired by the pioneering female directors of early Hollywood, such as Dorothy Arzner, Alice Guy-Blaché, and Lois Weber, 180 Degree Rule’s most extensive historical nod is to Arzner, an open lesbian who was notorious for affairs with her leading women, including Joan Crawford. She worked throughout the 1920s-40s, creating films with independent, complex female protagonists – often with lesbian subtext. 180 Degree Rule is a 2013 graduate of BWBTC’s Fighting Words script development program, was a finalist in the 2013 Pride Series Women’s Work Competition (for works by women with lesbian characters or themes), and was hosted for a final public reading by Chicago Dramatists. This production has been awarded grants by the Arch and Bruce Brown Foundation and the Dramatists Guild Fund. 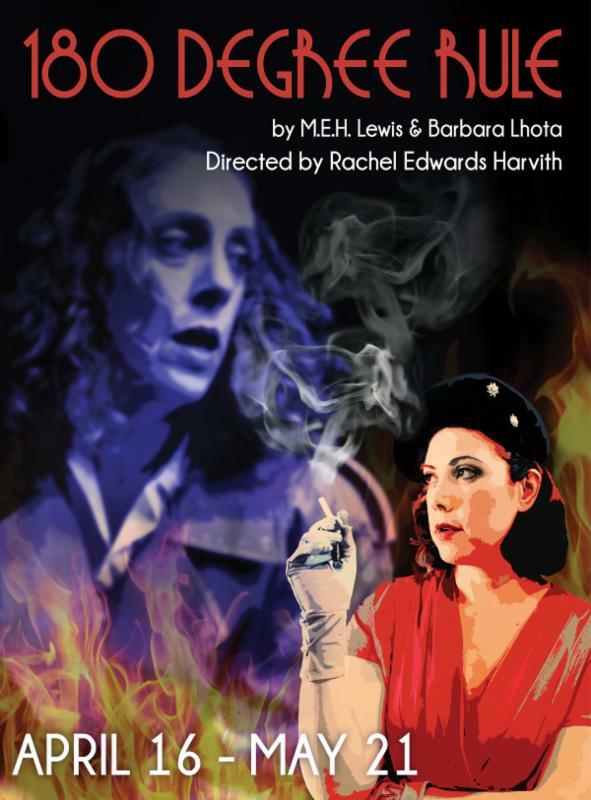 Events and deals have been announced for Babes With Blades Theatre Company’s 180 Degree Rule, written by Chicago playwrights Barbara Lhota (playwright, The Double and BWBTC ensemble member) and the late M.E.H. Lewis, to be performed at City Lit Theatre, 1020 W. Bryn Mawr Ave., in Chicago. The show will run Thursdays-Saturdays at 8PM and Sundays at 3 from April 28 - May 21, plus Wednesdays May 11 and May 18 8pm. The design and production team of 180 Degree Rule includes Leigh Barrett* (Sound Design), Libby Beyreis* (Violence Design), Kurt Brandt (Props Design), Jason Fleece (Dialect Coach), Adam Greye (Stage Manager), Kaitlyn Grissom (Technical Director), Amy E. Harmon* (Production Manager), Beth Laske-Miller (Costume Design), Barbara Lhota* (Production Manager), Carter Martin (Film Director/Editor), G. Max Maxin IV (Projection & Scenic Design), Heather Meyers (Dramaturg), Tim Tavano (Director of Photography), and Laura Wiley (Lighting Design). The Thursday performances of May 5 and May 12 will offer pay-what-you-can admission. Sunday, May 8, stick around after the show for a post-show dessert buffet, featuring an array of tasty treats, homemade by the BWBTC ensemble. Delicious and free! Wednesday, May 11, join us for “Cookies and Collaboration,” a post-show discussion with playwright Barbara Lhota. Wednesday, May 11 and Wednesday, May 18 will be Industry Nights, offering ½ price tickets to anyone with proof of industry affiliation. Available at babeswithblades.org or 773-904-0391.